New truly shareable electric skateboard-SPECTRA X to be launched in CES 2019 on a simulated roadway – Walnut Tech. 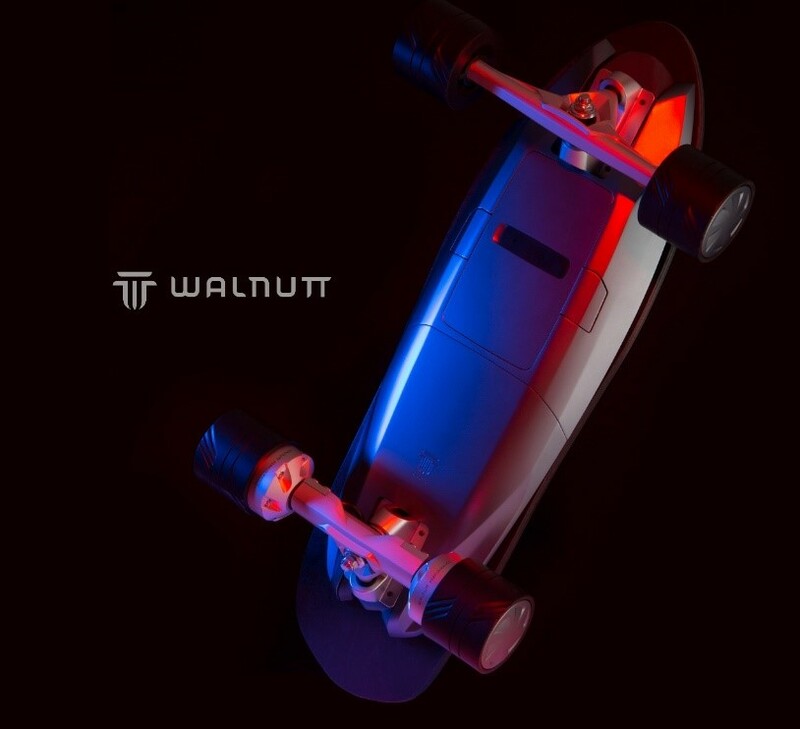 This week, Walnut Technology (WALNUTT), a design-driven hardware startup, bringing the true sharing economy to electric skateboards，named SPECTRA X -a truly shareable electric skateboard to be launched. 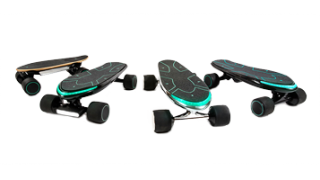 WALNUT Technology will present the running E-skateboard on an exclusive customized roadway simulator, with the newly-built 4D trial equipment for SPECTRA X to be showcased at 2019 CES in Las Vegas. With this special experience, not only stimulating you can also control the speed in your hand. 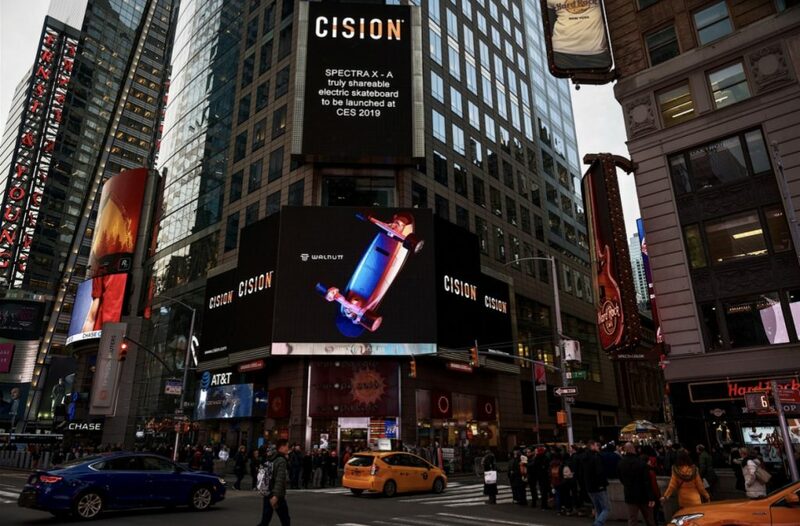 SPECTRA X – A truly shareable electric skateboard to be launched at CES 2019. WALNUT Technology（WALNUTT）want to make trying new products (before purchase) easier and more convenient than ever before. To make this possible, WALNUTT comes with a sharing feature available through the eBoard Go APP. With P2P sharing, SPECTRA X connects people who share the same interests, enabling more people to enjoy the fun of e-skateboarding while fostering an e-skater ecosystem and avoiding the waste of resources or chaotic parking way. In addition to the sharing feature, SPECTRA X is jam-packed with upgraded functionality. SPECTRA boards offer the world’s first 3D posture control. To provide a more enjoyable hands-free riding experience, new sensors in SPECTRA X are lighter and more sensitive than the first generation of SPECTRA. Pushing the overall riding experience to the next level, SPECTRA X offers 3 control modes: body posture, remote control, and the eBoard Go APP. SPECTRA X also features a IP66 water-proofed body, replaceable rechargeable batteries, and replaceable wheels. The design inspiration of SPECTRA X is from classic sports cars. With a combination of the maple board and FRP（fiber reinforce plastic） to enhance the toughness and the intensity of the waterproof exterior, the body of the SPECTRA X mold features aluminum alloy. The surface of the board appears the color of Lavender under good lighting. The battery placed at the base of the E-skateboard is replaceable and rechargeable in order to achieve a maximum skating range. If you want to know more info about SPECTRA, come to visit WALNUTT for a test ride at CES 2019 (January 8th -11th) in Las Vegas (South Hall 1, Stand 20244). Hello, great article! I’d like to ask you what you think about electrical boards? Are they similar to electric skate boards? Hello, I want to ask you what do you think about this brand electric surfboard https://awakeboards.com/? Is there anything to do with an electric skateboard and how is it like a good brand? Thank you in advance!